Secure your appointment with the best rubbish removal services in Barbican, call now on 020 8610 9182 and get access to the best prices, top service and best results. When it comes to rubbish disposal EC2Y, you probably don’t want to be stressing about it. But sometimes when you’ve got excess waste then dealing with it can become a very frustrating thing to do. 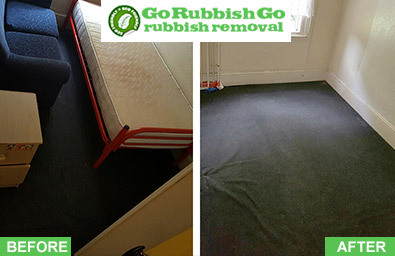 If you’d rather avoid all that, then hand it over to the experts at Go Rubbish Go and we’ll happily do it for you. No stress, no fuss, no worries – that’s our promise to you. Book your spot and we will handle everything for you – making waste management easier for homes and businesses in EC2Y. Your affordable rubbish removal Barbican service is here; offering a wide range and of rubbish disposal services to homes and businesses in the local area. We have made it out job to provide high quality services at low prices that everyone in Barbican can afford. We calculate our prices based on how much it actually costs us to provide the service, not how much we think people can afford or what will make us the most money. So when you are looking for a fairly priced waste disposal in Barbican, EC2Y, look no further because we are here to help. Just get in touch on 020 8610 9182 for a free quote. 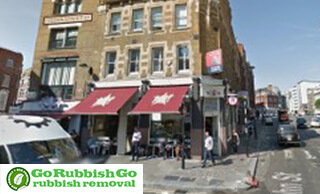 Why Should You Go For Our Barbican Waste Removal Company? If you’re looking for a Barbican rubbish clearance and don’t know who to choose, let us help you decide. Obviously we want you to choose us, but ultimately we want our customers to be happy and satisfied with whatever service they use. So here are a few things we offer that we think you deserve – a trained team who are fully vetted, qualified and highly experienced, and also friendly. You’ll also want a service that provides value for money, so one that’s affordable but also high quality. We recommend choosing EC2Y waste clearance service that can provide customer reviews and testimonials, that way you know you’re getting something reliable. We also think you should be able to get a service that fits around you. If you want a quick and easy rubbish clearance service in Barbican EC2Y then these are the guys to go to. Really quick service, great value and really good job done. So pleased I choose them! Looking For A Same Day Service For A Quick EC2Y Waste Collection Solution? Look No Further! If you’ve got waste at home or in your business you don’t want it hanging around; not only is it unsightly to look at, but it’s probably a bit smelly too. And that’s not pleasant for you or anyone who visits. ‘But what can I do about it?’ we hear you cry! 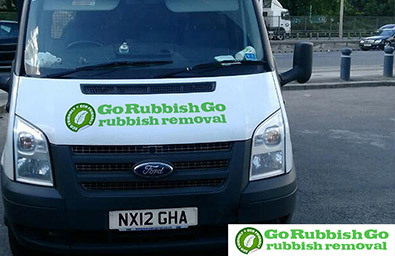 Well you can come to Go Rubbish Go and take advantage of our same day Barbican waste collection service. We regularly have same day and next day slots for those urgent rubbish removal needs, so if that’s what you want, we might be able to help. All you need to do is call now on 020 8610 9182 and tell us what you need and how quickly, and we’ll find a way to help. Waste removal normally isn’t a hard thing to do; yes it’s normally messy, smelly and generally unpleasant, but it’s not really that hard. But you’d never know that based on the song and dance some other local companies make, trying to make things far more complicated than they need to be. But not here; at Go Rubbish Go we don’t make waste removal Barbican, EC2Y any harder than it needs to be, and that’s a good thing for our customers because it makes it more simple for them too. They know what to expect and that’s what they get. So don’t let other companies overcomplicate things, book today on 020 8610 9182 with the experts in simple waste management, and we’ll show you how it’s done. The area known as Barbican is located in the City of London and it is most famous for the Barbican Centre which resides there. The centre plays host to a wide range of classical and contemporary music events throughout the year. It also shows films and stage productions by local, national and international acts. The centre is also home to several restaurants and bars, offering a complete night out in one spot. There is also a library on the premises and a conservatory. Another area of interest is the Barbican Estate, which was built after the area was decimated by bombings in WWII. It is a Grade II listed building, and notable for its Brutalist architecture. Attractions in Barbican can be easily accessed thanks to Barbican tube station and bus network.